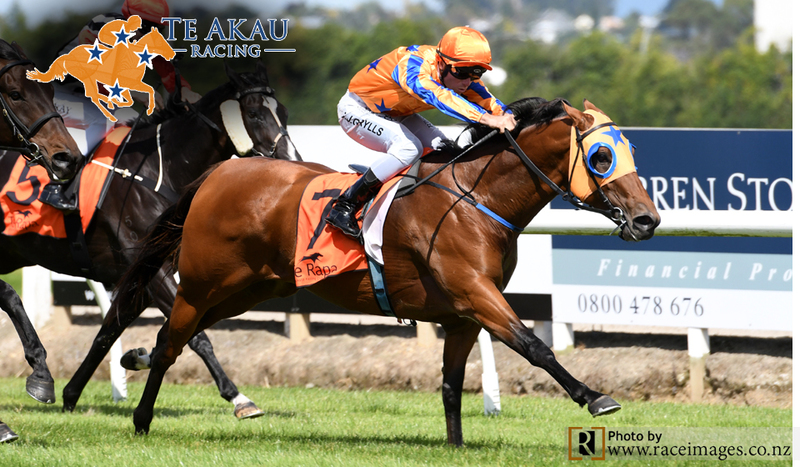 Te Akau New Zealand has seven horses racing on Sunday 14 April at Te Rapa. As on Saturday 13 April the conditions were: fine and Dead4, rail out 5 metres. No rain forecast. 12.55 p.m. R2 2 Wide Awake (5 g Savabeel – Kay’s Awake) – Troy Harris; ran home in respectable time when unable to close off a moderate pace in the Rating 82 2100 metres on 23 March at Tauranga. Better than his form line suggests, he has won here and can produce an improved performance from barrier three in the $30,000 Rating 82 2200 metres. 12.55 p.m. R2 5 Fabulous Flight(4 g I Am Invincible – Court Flying) – Craig Grylls; had a run best forgotten in the Rating 72 2200 metres last Saturday at Te Aroha, when stumbling at the start and blocked and checked in the straight. He ran the fastest last 600m (34.6) when coming from last to finish fifth in the South Waikato Cup (Rating 72, 2000m) on 13 March at Matamata. Up in grade but down in weight (54.5kgs) in the $30,000 Rating 82 2200 metres, he should go well. 1.30 p.m. R3 1 Beau Geste(4 g Pour Moi – Villa Wanda) – Troy Harris; broke through for a well deserved win in the $10,000 Maiden High-weight 2000 metres on 21 March at New Plymouth, following a second and third, respectively, at his two previous starts. Drawn barrier one in the $22,500 Rating 65 2200 metres, he brings the right form to measure up as a top four chance. 2.05 p.m. R4 2 Kingsguard(6 g Rip Van Winkle – Her Royal Highness) – Chelsea Burden (a4); resumed with a win in the $35,000 Electrolux Sprint (1200m) on 30 March at Ellerslie, at his first start for the stable. The winner of five races, including the Hawkesbury Cup (Gr. 3, 1600m) and stakes of $457,000 in Australia, aided by weight relief to 56.5kgs in the $35,000 Open 1400 metres and should go well if appreciative of the course at his first attempt. 3.20 p.m. R6 5 Burgundy Belle(3 f Burgundy – Spin ‘N Grin) – Troy Harris; impressed winning on debut and again in the next grade at her following start, in December, before spelling after a notable fifth in the Mongolian Khan Trophy (Gr. 3, 1200m) on Karaka Million Night (26 Jan.) at Ellerslie. She trialled strongly for second on 2 April at Avondale, and ideally drawn (4) to produce a bold resuming effort in the $25,000 3YO 1200 metres. 3.20 p.m. R6 7 Pinultimate(3 f Pins – Lost In Dubai) – Craig Grylls; won on debut by four lengths in October at Tauranga, and spelled after winning her next start at Otaki, both over 1200 metres. In the second of two preparatory trials, she sprinted home from last with a big performance to win on 2 April at Avondale. Meeting a speedy field in the $25,000 3YO 1200 metres, she is ideally drawn (3) to take a sit and finish strongly. 4.38 p.m. R8 6 Quattro Katie (3 f Zoustar – Kakakakatie) – Craig Grylls; recorded a clinical victory in the Maiden 3YO 1200 metres on 27 March at Matamata, and steps in grade for the $22,500 Rating 65 1200 metres. Unlucky not to win during a southern Spring campaign when placing three times from five starts, including a third in the Canterbury Belle Stakes (Listed, 1200m), she can measure up to rate a top four chance appreciative of the course at her first attempt.